A portrait of Elizabeth Taylor hands in the Casa Kimberly, which she previously owned. If you haven't picked out plans for Valentine's Day yet, why not trek to Puerto Vallarta, Mexico and spend time inside the place where actress Elizabeth Taylor and actor Richard Burton famously vacationed. 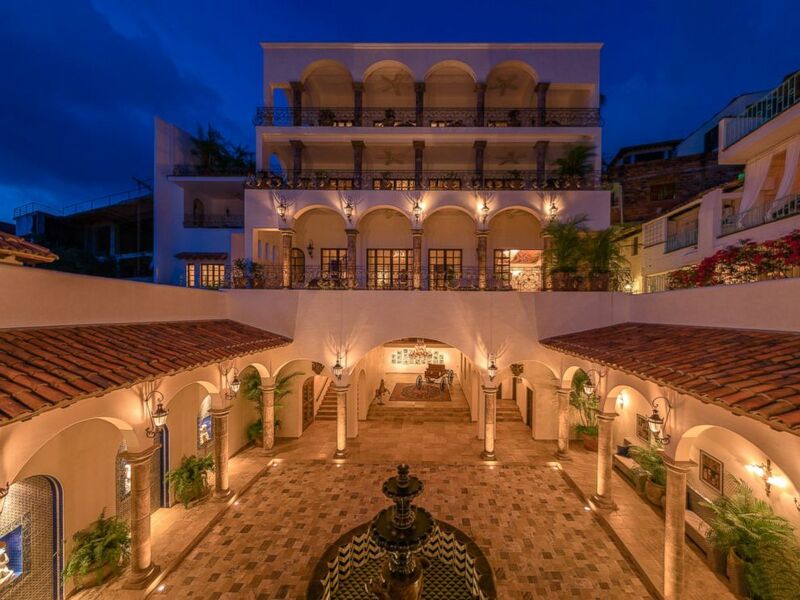 The newly-opened Casa Kimberly Hotel features nine luxury suites, a pool, a boutique spa and The Iguana Restaurant, named after Burton's 1964 film, "The Night of the Iguana." According to owner and designer Janice Chatterton, Burton bought the property for Taylor back in 1964 for her 32nd birthday. The two vacationed in Casa Kimberly for decades, both alone and together. The actress eventually sold it in 1990 after Burton's death in 1984. The hotel reopened last December. 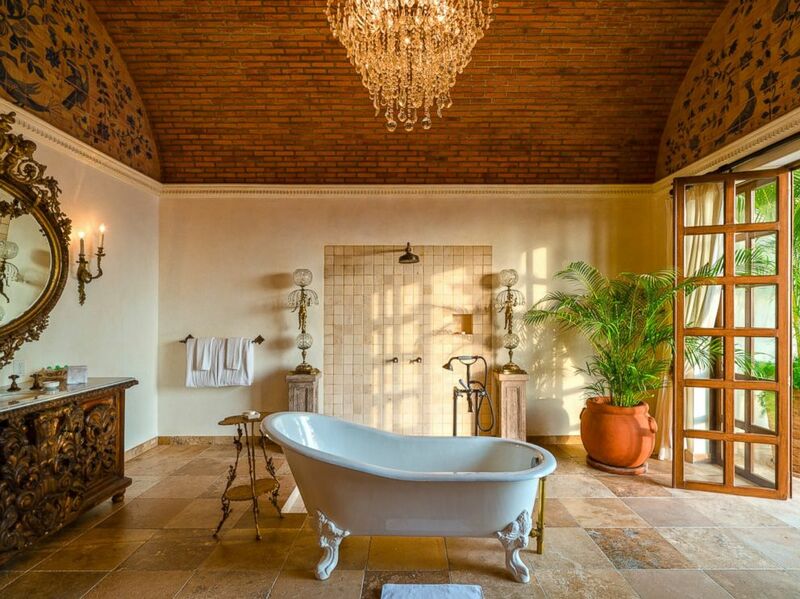 The bath suite in the Casa Kimberly, is named Cleopatra, in homage of Elizabeth Taylor's 1963 film. "I designed the property with luxurious suites and expansive terraces so that everywhere you look there is a beautiful view. Add the history of Taylor and Burton's passionate but tumultuous love story and it is a recipe for romance," Chatterton told ABC News via email. Although the hotel just underwent renovations, there are still some parts that remain as they were when Taylor graced the premises, such as her bedroom with its heart-shaped bathtub in its original location. 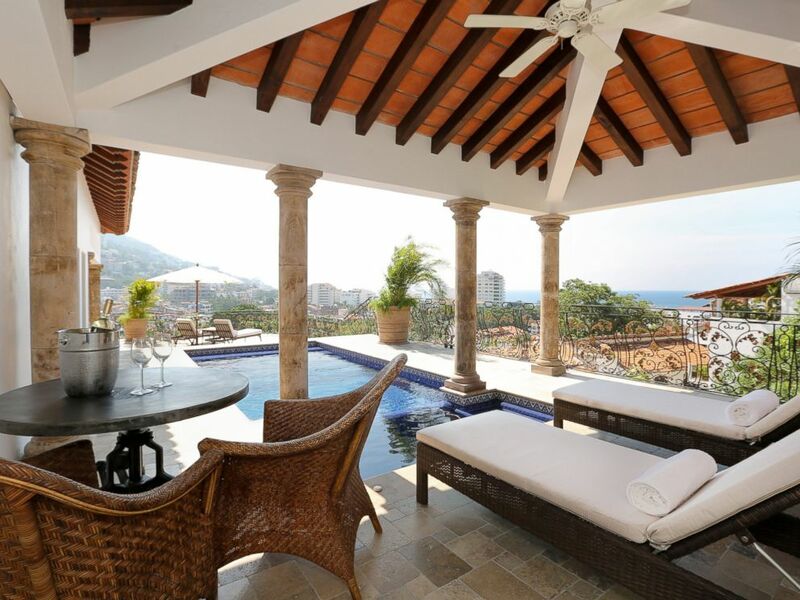 The pool at Casa Kimberly overlooks the city of Puerto Vallarta, Mexico. If you're willing to spend $1,274 plus tax and service charges on your loved one, you can try the hotel's "Legendary Romance Package" -- a special package for Valentine's Day. It includes a two-night stay in one of Casa Kimberly's suites, a couple's massage, a four-course dinner on the terrace of The Iguana Restaurant, where you can taste Taylor and Burton's favorite cocktail, the Chocolatini, and round-trip airport transportation. The courtyard of Casa Kimberly, a newly renovated hotel, previously owned by Elizabeth Taylor and Richard Burton. "Valentine couples will appreciate the romantic sunsets, the private Jacuzzi's on nearly all terraces, the couple's spa treatments and fine dining with extraordinary live mariachi music, the most passionate music there is!," Chatterton added. Still, she warned that Casa Kimberly is not for couples who want to make their Valentine's Day trip a family outing. "Casa Kimberly is built to be a romantic respite, so we do not allow young children," Chatterton explained.